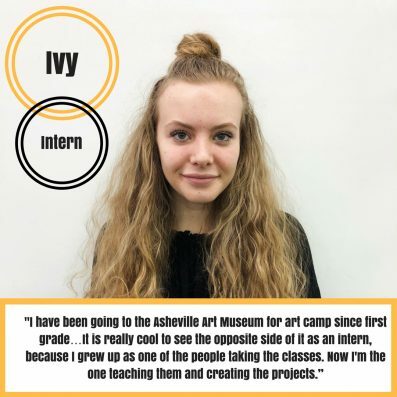 The Asheville Art Museum hosts interns all year long – giving students valuable hands-on learning experiences they can carry with them into their future careers. 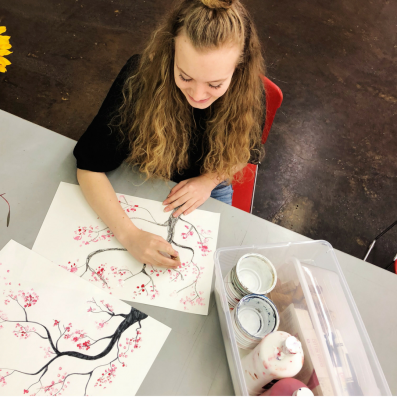 Ivy will be taking her passion for art with her as she starts college in the fall, majoring in graphic design. “The art museum summer programs helped me a lot,” Ivy said. She was particularly inspired by the downtown location as a child. Though she won’t be living in Asheville when the new Museum opens, she’s excited to see what opportunities it brings – particularly to students and interns – in the area.